Kenya is regarded as the regional hub for trade and finance in East Africa, and many large corporations have their African headquarters in Nairobi. Currently, Kenya’s construction industry is going through boom. The government has invested heavily in the construction sector of Kenya in order to improve the infrastructure such as road networks, and at the same time provide new residencies for the locals (who are being supported by the banks to get loan to buy apartments/cars). According to the Kenya National Bureau of Statistics, the real estate and construction sectors continues to be some of the key drivers of economic growth in Kenya for the last five years. The Kenyan construction industry contributes 7 percent of the gross domestic product (GDP), which makes it clear that Kenya has a well-developed construction industry. With an increase in population, opportunities exist in the construction of residential, commercial and industrial buildings, including prefabricated low-cost housing. The economic outlook of the country indicates that the construction industry presents one of the key areas that would, and is, attracting investors to the country. Extensive opportunities for investment exists particularly in the area of upgrading slums and informal settlements, urban renewal, construction of middle and low income housing, and the manufacture and supply of building materials and components. The huge deficit in infrastructure including rail, roads and ports present a significant case for continuing growth in the building and construction sector, which accounts for 5 percent of Kenya’s GDP and employs at least one million people. Retail Markets – Nairobi continues to be home to most modern shopping malls such as Galleria Shopping Mall and Greenspan. Industrial Markets – Increased development of business parks such as Sameer Business Park, Tulip House and Royal Business Park all on Mombasa Road. The government has invested on constructing ICT along Mombasa Road. Residential Markets – Houses in gated compounds and apartments have seen a greater demand than single stand-alone homes. The current trend is to develop out of town integrated communities, targeting mainly the middle class. However, just like in other developing countries in Africa and the entire world, there are several setbacks in the construction industry, including issues to do with: Capital, Professionals, Quality Assurance, Corruption in procuring Contractors, Unskilled Labour, and Occupational Health & Safety Challenges. Among other challenges experienced in this industry, capital has been outlined as one of the major challenges faced by entrepreneurs in the construction sector, coupled with complacence among the contractors as they tend to settle for what they have attained. – the real estate sector had 34,810 loan accounts with gross loans to the sector totalling KES286.6 billion. It observed that capacity in the sector is limited and the gains the contractors would have counted on are reaped by corruption. Innovation and merit is not honoured and promoted in the sector. The principal superintendent in the Department of Public Works, Kennedy Ndonga says professionals in the industry tend to have a conservative perspective and thus prefer clients whose thinking resembles theirs. This affects the choices they make in building materials, research and investments. Kenyan professionals in the industry need to research on the makuti, coral stone, sand blocks and other easily available raw materials that have been used from time immemorial to avoid specifying materials that are not available in some regions in the country. He cites Fort Jesus in Mombasa which was built in 15th Century using local materials and is not showing signs of collapsing. The construction industry has been facing a lot of challenges in quality assurance from collapsing of buildings and constructions on road reserves and public utility spaces. This is compounded, says the Department of Public Works, by some local authorities’ lack of capacity to facilitate the implementation of quality control – hence quality assurance is left to public health technicians. The ministry points out that the majority of professionals are competent to offer good quality advice and service, but some give poor service through poor documentation, poor decision making and extension of time variation. Moses Muiha, National Coordinator/CEO, Kenyan Federation of Master Builders says that the categorisation of contractors by the ministry of roads and public works is unfair – in the awarding of construction projects tenders. Muiha complained of the manner in which the tender bids are under-priced and evaluated. He also cited the technical qualification required in the process as a problem. He said corruption and unfair distribution of construction projects is common and the procurement process need to be reviewed as it causes unnecessary delay of payments. He also stated that erratic change of prices of building materials is one of the challenges facing this sector of the Kenyan economy. For years Kenya has had challenges with unskilled draughtsman (Fundis) and quack contractors. As a result, there are cases of collapsed buildings in various parts of the country especially in Nairobi where the collapse of low cost residential flats has resulted in the loss of properties and lives. However, the National Construction Authority (NCA) which was constituted under Act No. 41 of 2011 to “Accredit and register contractors and regulate their professional undertakings”. The authority is also mandated to accredit skilled construction workers and site supervisors. This is a move to weed out rogue contractors, train construction draughtsman (Fundis) and reduce the amount of malpractices that have seen the collapse of buildings, poor workmanship and delay in completion of projects. The construction industry business in Kenya, as in other countries, cannot be tackled effectively without harnessing Occupational Health and Safety (OHS), to safeguard the health of the workers and the entire community. Unfortunately in this Industry, assessment of the impacts of such developments to the workers, surrounding environment and the community are rarely considered. Hardly has any construction project been completed without having a fatal accident (especially multistory buildings). At the construction workplaces, the workers are exposed to hazards of occupational diseases and injuries and the adverse effects of excessively long hours of work. Machines, plants and other sophisticated construction equipment pose dangers to the operators, who in most cases do not have prior skills for operating such machines or plants. Occupational health services should be concerned with the preventive measures laid down to guide the employers, the workers and their representatives on the requirements for a safe, healthy working environment. A worker should be assigned duties in relation to his physical and mental health and skills. Further, employers should have complete control over their employees and therefore ensure adherence to safety practices. The company must comply with all provisions of safety and health regulations that pertain to the construction works itself. Construction can be a safe occupation when workers are aware of the hazards, and an effective safety and health program is used. However through National Construction Authority (NCA) whose officers keep a regular check on ongoing projects, there’s a current improvement in ensuring safety of workers at construction site. For example by ensuring there’s a safety officer on site daily, and ensuring workers are in their safety boots, reflector jackets and helmets whenever there are on site. Although not all adhere to the safety rules, hence accidents still occur on sites – even fatal ones. – In Kenya, the new president is serving his last term. He has one more year left. Government is quite stable and is working towards the Kenya Vision of 2030. – Recent discoveries of Crude Oil & Fresh Water reserves have boosted the Kenyan economy and this has reduced the money spent on imports, therefore more capital is available for the development of the country’s infrastructure which is mediocre outside of Nairobi. – Kenya has the highest literacy rate in Africa and the workforce is well known for being educated and hard working. One advantage for foreign investors is that everyone speaks the common language English. This makes it easy for new people to understand and quickly adapt to the new country. Therefore, Kenya serves as a good starting point to begin business in Africa due its positive growing economy, natural reserves & a strong workforce who can easily be communicated with. And communication is always very crucial for a successful business. Crime rate is low. And most international headquarters have already opened their branches in Nairobi such as E.A Portland Cement, JASPA Logistics & Rockefeller Foundation, etc. This means that Nairobi is not new to foreign investors and with the current government plans to develop the nation by 2030, there are definitely many opportunities present in small and large scale of construction. – Rapidly increasing population has forced the government to invest heavily on decent housing and improved road networks for the locals, and Kenya 2030 Vision has focused on the construction of technology city near Nairobi and development of resorts near Mombasa beach. 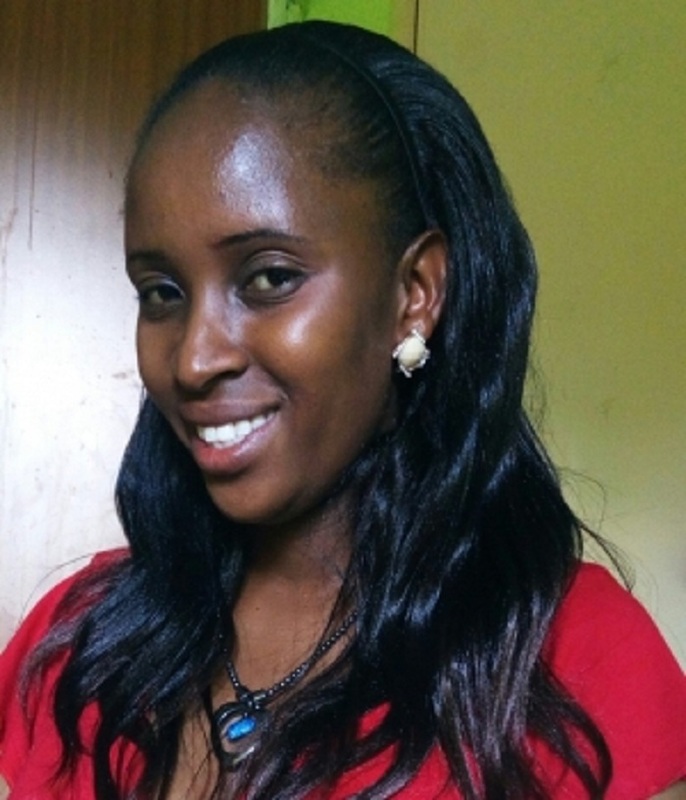 Josphine is a Quantity Surveying (QS) graduate from the University of Nairobi (BSc. Quantity Surveying), with 3 years of experience in the Construction Industry. She currently practices in a QS consulting firm based in Nairobi, Kenya. I read your article. It was very helpful. The facts presented by you are really very informative and helpful. Please be in touch.